patterns > Crazy Go Knits! 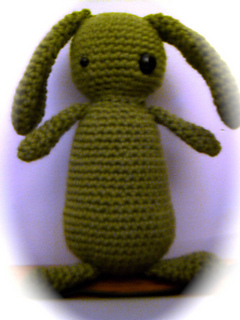 Here for your crocheting pleasure is Alien Bunny! 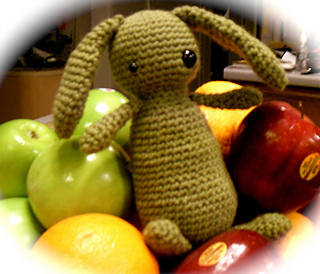 Green and googly-eyed, he will make a welcome addition to any toy box or desktop.